There are strong links between reading for pleasure and educational outcomes . As well as the research evidence available on the matter, all teachers can read a piece of writing from children of any age and tell if they read widely or not. But how do we promote reading for pleasures in our schools? This post sets out of few of the measures we have put in place in our school, they are mostly simple and easy to replicate. Not all original ideas by any means, but our own interpretations and evolutions of ideas seen on social media, during visits to other schools and through other CPD. Read to the children. Hearing reading modelled is important for children to understand sentence structure, pronunciation, intonation, inflexion, fluency, and most of all, it makes the text enjoyable. Reading a whole class text everyday helps introduce the children to a wide range of authors and genres. We often choose high quality texts in line with our topics, but also we chooses books purely because we enjoy them. 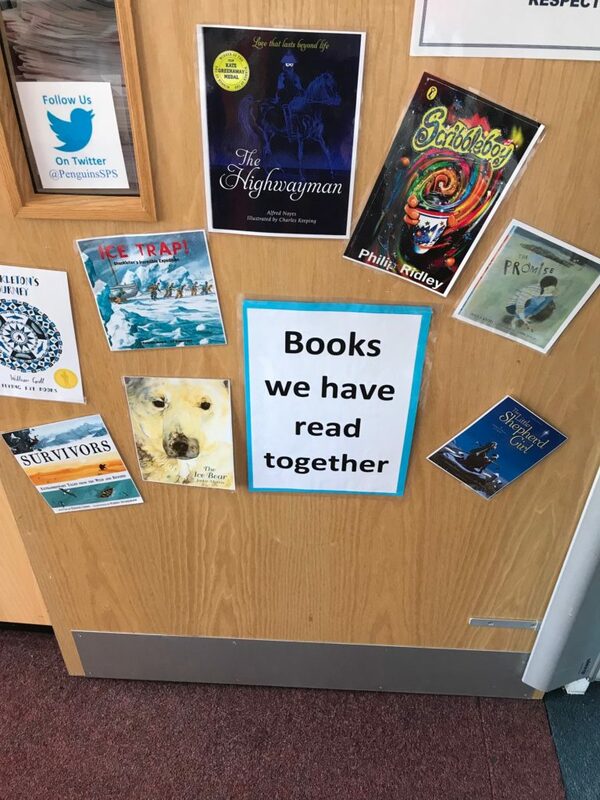 By sharing the covers on the doors of our classrooms we are further raising the profile of reading and encouraging discussions about books. 2. Recommend books. Adults and children alike are encouraged to share the books that bring them joy in some way. 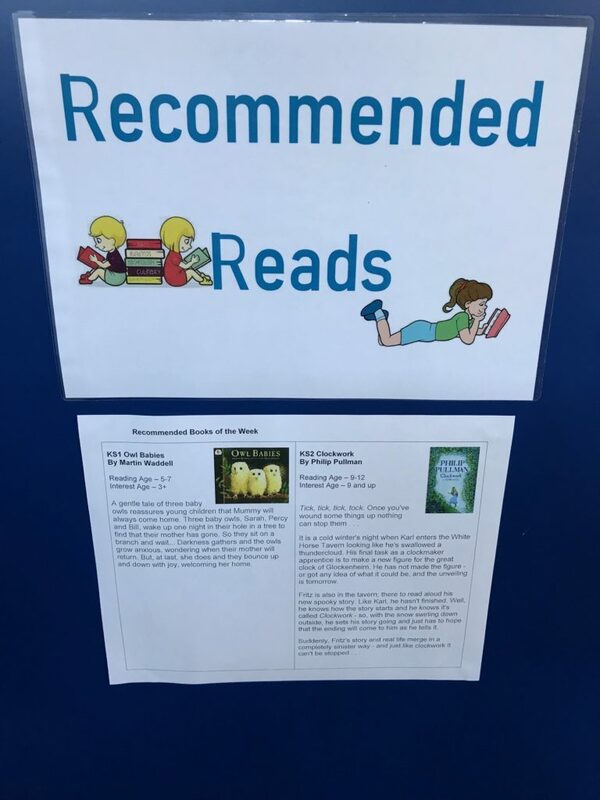 We recommend books by reading them, as in point 1, but we also share book recommendations through our weekly newsletter to parents and display these in our school library. Even more valuable though is when children recommend books to their peers. This happens through discussions in class but we also have stands around school that children put books on when they are empty to advertise books that they have enjoyed. 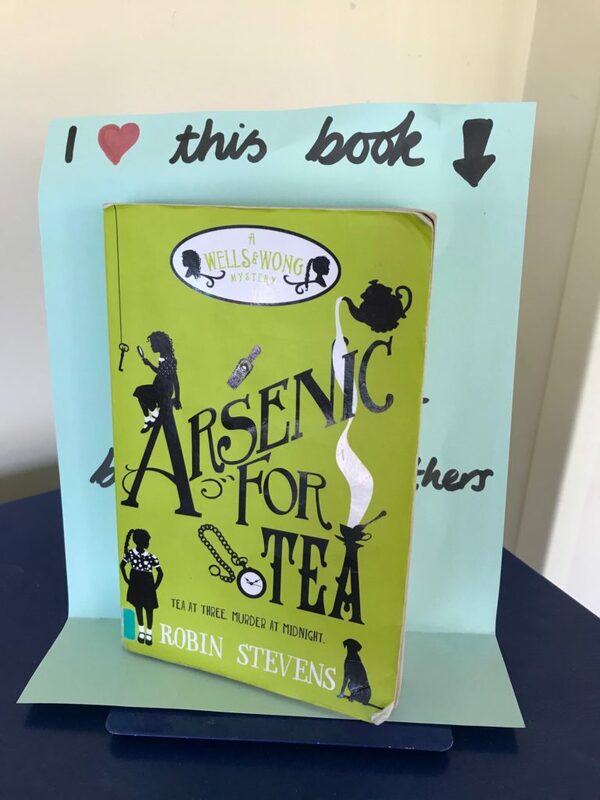 We recommend books for both KS1 and KS2 on our weekly newsletter from the Head and in the library. The children recommend books to each other by popping a good book on an empty stand. 3. Radical Reading. 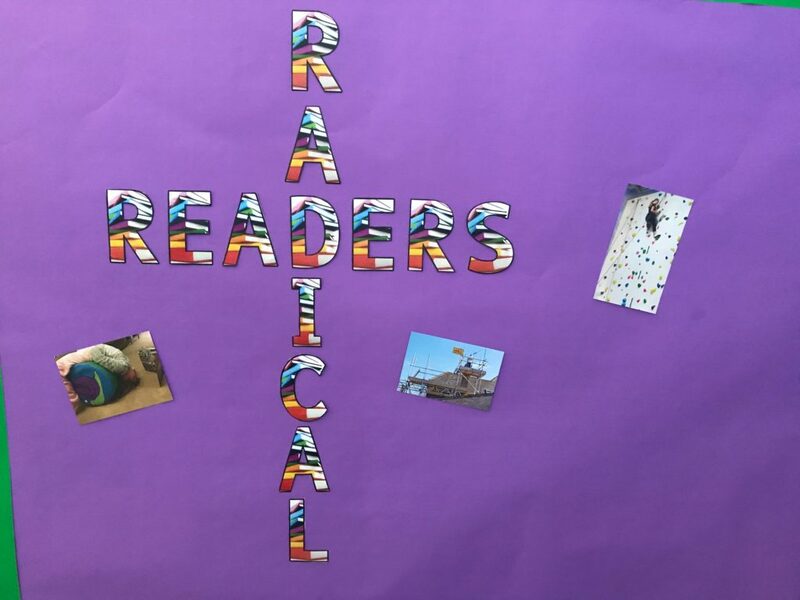 I’ve seen similar displays in schools with the name #ExtremeReading, but we went for #RadicalReading because my Head really, really likes alliteration. We’ve just launched this in school, promoting reading, anywhere and everywhere. Although be warned, some radical reading on social media is reading of a radical nature, so it’s not all good. 4. Have well stocked book shelves. Each class has a dedicated reading area complete with a range of books. We recently had a generous donation from our PTA to update our in class collections. This was a great chance to discuss books with the class and they talked with passion about series and authors I’d not heard of. This gave us a chance to refresh our collection and made the new books sort after and valued. 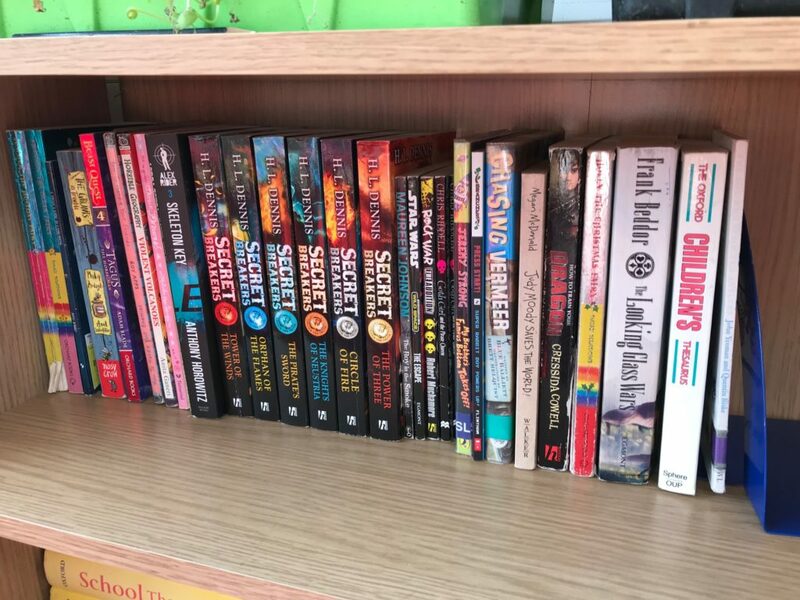 If you’re not fortunate enough to have any money available for new books in your school you could try the Foyle Foundation who provide grants for school libraries of between £1K and £10K. 5 Find time to read. During free reading time the teachers are encouraged to read as well. It’s always tempting to trim that sheet you need for the geography lesson or try and mark those last 5 maths books, but if the teacher demonstrates that they value reading, the children will place greater value on it. Also, allow time to discuss what you have been reading for a few minutes after this. Talk books, value books, recommend books. We also have weekly reading time in our houses, where children from across the school meet up read to each other. It’s lovely to see them all sharing their books and a great confidence booster for everyone. 6. Find and use the good stuff. 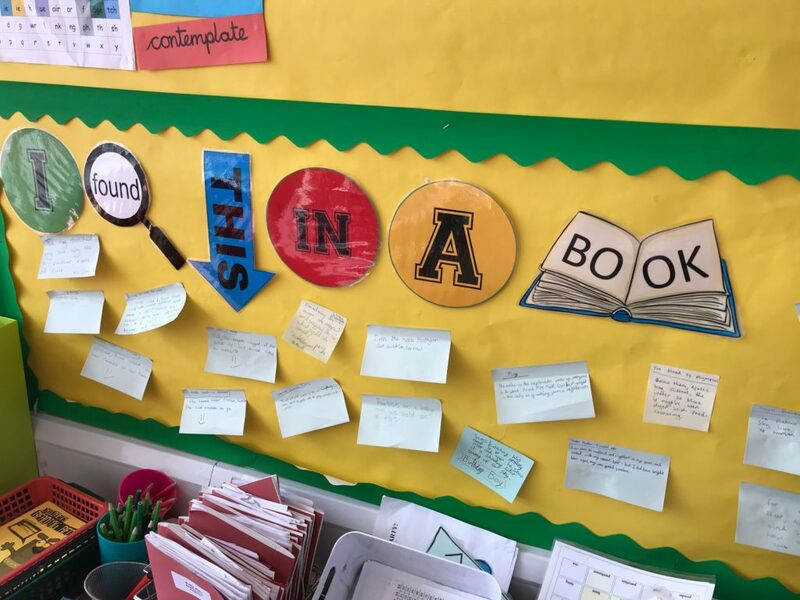 We’ve got a display at the back of our classroom where the children add awesome words, phrases and sentences as and when they come across them during their reading. Before sticking the post-it note on the wall they share what they have found with the class. I have plans to try and put them all together and see if we can write a story out of them that makes sense and is full of wonderful description. We’ll see how that goes! 7. Make books available for everyone. Outside of our Head’s office, just after you enter the school, you will come across some chairs and a basket or great books. 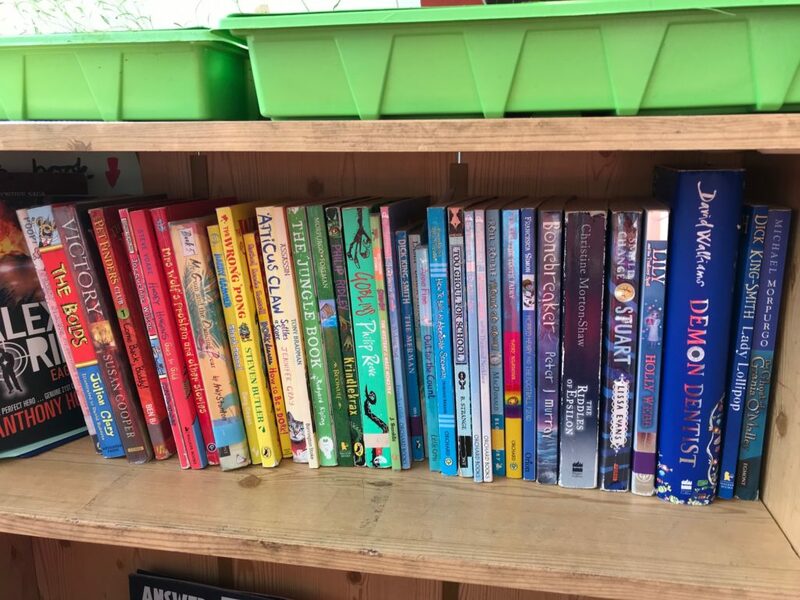 So if you’re ever visiting our school you’ll have the chance to discover a new book and, if you’re kept waiting, you will get to enjoy a bit of reading. 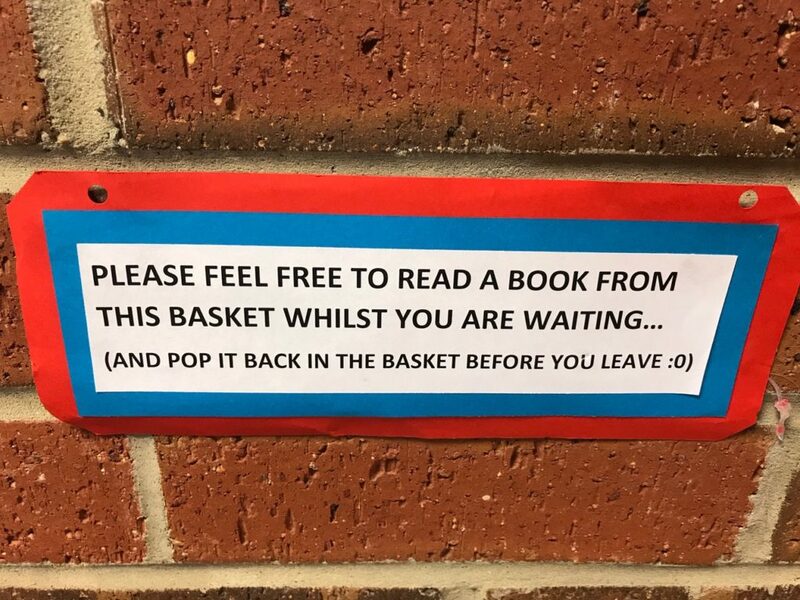 This basket is particularly well used when children are getting changed for PE. The ones who get changed the quickest, get to share a book with their friends for a minute or two. It’s great just to have books on hand, available, visible and valued. 8 Talk about books. 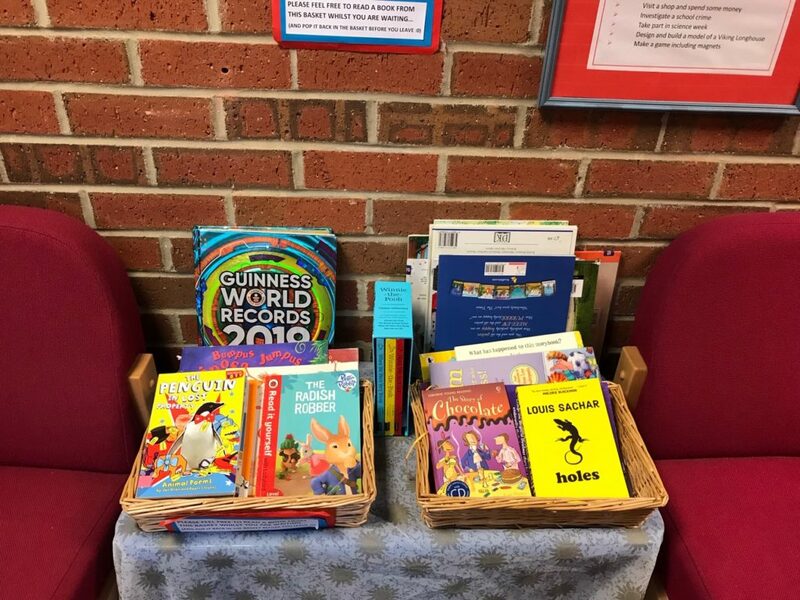 We happen to have a radio station in our school and used it during World Book Day to give children the opportunity to talk to each other about their favourite books. We all plan to use it for children to read their own stories as well as stories they like. This way they can pass on their passions to others in school and further afield. I realise that most schools don’t have the luxury of a radio station, but most can make use of technology to record and publish reviews, interviews and story telling by making use of free apps.